Beautiful photos accompany refreshingly simple and wholesome recipes showcase the best ingredients and flavors of each season. More than 90 recipes highlight the best of each season's bounty. 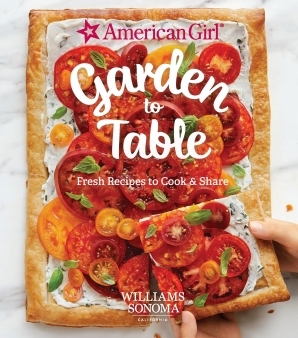 With four chapters - one for each season - recipes feature ingredients at the height of their flavor and freshness, inspiring light and flavorful cooking throughout the year. Lush, full-color photography beautifully illustrates the vibrancy of fresh, ripe ingredients. Special features explore seasonal approaches to easy classics such as toasts, bowls, puff pastry tarts, and cocktails. Cooking in Season is the ultimate handbook for utilizing the best of each season's ingredients in a collection of simple, yet sublimely flavorful, recipes. From starters, soups and salads through main courses and desserts, freshness in flavor and preparation is effortlessly attained. Shaved Artichoke, Celery & Fennel Salad; Sesame Ginger Noodles with Sprouts, Leeks & New Potatoes; Grilled Lamb Chops with Spring Herb Salsa Verde; Pavlova with Meyer Lemon Curd & Strawberries. Grilled Peach Flatbread with Mozzarella, Pickled Onion & Arugula; Summer Vegetable Ceviche: Grilled Salmon with Stone Fruit Mojo; Watermelon Mojito Ice Pops. Honeyed Fig, Blue Cheese & Walnut Crostini with Honey; Chopped Chard Salad with Wheat Berries, Persimmon & Pepitas; Cider-Braised Chicken with Acorn Squash Ragout; Apple Fritters with Cardamom Cream. Brigit Binns. 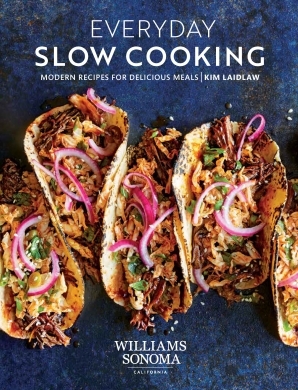 Food writer and recipe consultant Brigit Binns is the author of The Relaxed Kitchen as well as Small Plates and Salad in the Williams-Sonoma Food Made Fast series. She is a graduate of England's Tante Marie cooking school and owned a catering business in Europe for ten years. Recently married, she and her husband divide their time between New York State and Los Angeles.